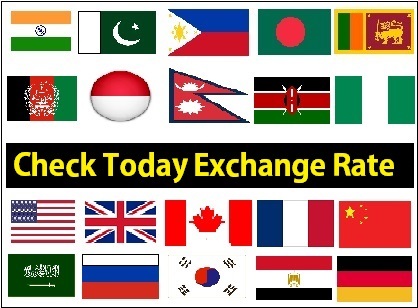 Gulf Countries witnessed the Affability and kindness of Filipinos migrants, they are really complaisant in behavior and counting pleasantness in society, but on other side the ratio of Labour Law Violations by Filipino workers are increasing day by day. 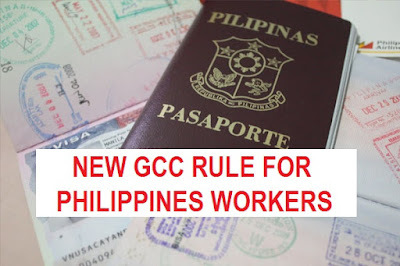 After thousands of criminal offenses the Philippine overseas Employment Administrator announced that any Filipino who have been deported from any member of GCC (Gulf Cooperation Council) will be ban from entering any other GCC country. The Philippine overseas employment Administrator Chief HANS LEO CACDAC said that Qatar’s Ministry of Interior has issued a circular stating workers who have been deported or cancelled from any GCC country by violating Labour Law or for running away from sponsor/Employers or Company will be denied entry by all other GCC Countries. HANSLEO CACDAC said GCC members also have a current aggrement to disallow foreign workers who were deported or cancelled for being involved in criminal offenses from entering other GCC countries. As per Ministry of Interior the circular is in accordance with the resolutions of the Secretary General of the GCC and the activation of the Security link among all GCC Countries that any illegal offense or violation of Labour Law Regulations in one of the GCC countries will be treated as a violation of all other GCC country. Kingdom of Saudi Arabia, United Arab Emirates, Qatar, Kuwait, Bahrain and Oman compose the Gulf Cooperation Council (GCC). The Philippine overseas employment Administrator Chief HANS LEO CACDAC said the GCC hoped the measure will reduce cases of runaways and ensure Labour market stability in Gulf region. Important: This is not yet confirmed through the official UAE Government. Please leave your comments below (FAQ's), we will reply you Asap. Thanks for blog with full informative tips.Our services includes measurement, manufacture & installation of blinds in Dubai. We provide Roman, Venetian, shutters,roller, vertical and panel blinds. Hello.i was deported from abu dhabi last 2011.is there any chance for me to enter qatar? Hi sir and madam. I was deported last December24 2015 and i had my eyescan then this last april 11 2026 i decided to apply again in abu dhabi but before i apply i check my status first from labour and immigration in abu dhabi they said im clear so my new employer she got me a new visa in salon again because im working in salon there in abu dhabi but suddenly when i was in dubai airport last May 17 2016 immigration refuse me and they took me eyescan and they said i have my ban for my eyescan..sir my concern is how i get employer visa if i still ban or case in abu dhabi?and i ask to officer in dubai immigration if how long my ban but they said they dont know.. And they told me... Don't worry your not blacklisted here u have only ban but he never tell if how long.. Sir/mam i need to know if how long my ban is it lifetime,, 1 year or 6 months?? I need your advice please. Thank you and God bless. Deported in uae due to absconding no criminal offense, and qatar has issued working visa. Is there a problem to enter qatar? Did u travel to qatar then ? Hello, i just wanna ask how to apply Amnesty...looking forward for your reply..thank you! I am pleased to see this open forum that I know could help me reduce the pressure through my nerves. I left Dubai in 2014 with 2 months remaining on my employment contract. I came back in Dubai last 2016 and looked for an employment again. I was hired and they told me that I was absconded by my previous employer.Is it a completed abscond case? Was it paid off by not entering Dubai in 2 years or equivalent to a year ban? How will it work, can my present company give me an employment visa? Will this abscond stamped on my papers be a hindrance for me to build a career in UAE again? Please help me with your reliable answers. Thank you! Hi, I just want to ask if what's the update in your situation now? I booked a tourist pacakage from Mumbai ,agent gave me tourist visa I cleared Indian immigration with tourist visa when I came to Dubai I came to know it is a fake one original visa was employment artist visa i asked agent to cancel it,but he didn't I gone to Indian counselate and got letter from them stating that I came from tourist visa and they gave me employment without my knowledge I handover this letter to Ala awir they took my tourist visa which I was travelling from India and Indian councellate letter they gave me a outgoing pass valid for 8 th of his month but I left immediately on the day now my visit visa got rejected stating some band I was here in UAE just for a week what should I do?? My wife was in UAE last year in Housemaid Visa, By mistake her employer complaint to immigration that she is absconding . and immigration put her immigration ban. She didn't do any offences. How to remove her immigration ban?. Her old employer is ready to do any help to bring her back in UAE. Or can I bring my wife in my sponcership ? I came to Dubai in 2005 with employment visa and I worked for one year in my company and I ran away from my company because of my salary was too low and I worked for outside about 10 months and UAE government put amnesty in 2007 and I didn’t have my passport with me and I went back to my home country with an emergency passport( which is 3 months validity) and I continued my studies and again I wanted to come back to UAE and my relatives applied for visit visa in 2011 and it was rejected they said I have a life time ban. But I didn’t do any illegal activity in UAE the only thing I ran away from my company. hello good day! maam/ sir my problem is i was in huroob under my iqama without any criminal, and i decide to volunter surrender to the police i got jail in 1month after they deported me to my country. i want to know can i enter for working visa in other gcc country? please..i need your answer. my question can i go other gcc country?. my case is only huroob without any criminal record. i was deported in saudi arabia, i was in jail in 1 month.